“This important book...brought home to me the complex and shifting situation in the Middle East and the danger of looking for simple responses or explanations. I loved the character of Jonas - the quiet man pushed by his own guilt into becoming a hero.” ANN CLEEVES, author of the Shetland and Vera Stanhope crime series. Jonas works for the UK secret service as an intelligence analyst. When his father is kidnapped and held for ransom by ISIS gunmen in Syria, he takes matters into his own hands and begins to steal the only currency he has access to: secret government intelligence. He heads to Beirut with a haul of the most sensitive documents imaginable and recruits an unlikely ally – an alcoholic Swiss priest named Father Tobias. Despite barely surviving his previous contact with ISIS, Tobias agrees to travel into the heart of the Islamic State and inform the kidnappers that Jonas is willing to negotiate for his father’s life. When the British and American governments realise they may be dealing with betrayal on a scale far greater than that of Edward Snowden, they try everything in their power to stop Jonas, and he finds himself tested to the limit as he fights to keep the negotiations alive and play his enemies off against each other. 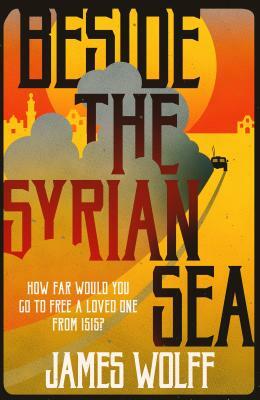 As the book races towards a thrilling confrontation in the Syrian desert, Jonas will have to decide how far he is willing to go to see his father again.